https://www.pointofsuccess.com/wp-content/uploads/Christmas-tree-14028677-e1510280930827.jpg 165 697 Jeff Crandall https://www.pointofsuccess.com/wp-content/uploads/POSlogoweb.png Jeff Crandall2017-11-08 13:58:252017-11-09 19:30:24A Great Holiday Revenue Bump! If you use Chargepath or the older Mercury Payment Systems Server for credit card processing you need a software update before October 14, 2016. Chargepath is a Point of Success software component for credit card processing. New MasterCard card numbers (called 2 BIN Series) will not work in Chargepath. Currently MasterCard accounts begin with 5; numbers starting with 2 will begin to be used in October 2016. Chargepath is a discontinued product and will not be updated. To see your version number go to Point of Success Office Manager > Help > About. If your Point of Success version is between 2.5 and 2.74 you need a Point of Success software upgrade before October 14 to continue processing all MasterCard credit cards. Software upgrades are discounted 50% for Mercury/Vantiv Integrated Payments merchants. If you are using Point of Success version 3 through 3.11 you need to move to NETePay processing before October 14 to accept all MasterCard cards. Current users of NETePay in Point of Success version 3.5 and above need to take no action. Your software will work with the new MasterCard numbers. Contact your Point of Success Dealer or Point of Success directly for more information. Ever Wish You Could See Financial Results Wherever You Are? Point of Success Dashboard gives you access to a variety of financial information from your restaurant. Dashboard works with Point of Success restaurant point of sale software and gives you current operational information anywhere at any time. Select the information you want to see for any number of locations. Staff members see what they need to see and nothing else! See all the details about Point of Success Dashboard. Today Microsoft ended support for Windows 8 and Internet Explorer versions 8, 9 and 10. What does this mean to you? Microsoft is no longer supporting or updating these versions of its software and you need to update now! Microsoft offers free updates to newer versions of these programs free of charge. If you automatically receive updates you will get these newer versions automatically and probably already have them. If you are using Windows 8 you should upgrade to Windows 8.1. If you are using Internet Explorer version 8, 9 or 10 you need to get Internet Explorer version 11. You can also use an alternate web browser like Google Chrome, Firefox or others. Why is it important to upgrade? Since Microsoft is no longer supporting or updating these programs you will not be protected from security vulnerabilities and are at risk of attack. Check your Windows Update settings to be sure you’re already protected with automatic updates! Version 3.7 Released, EMV is Here! 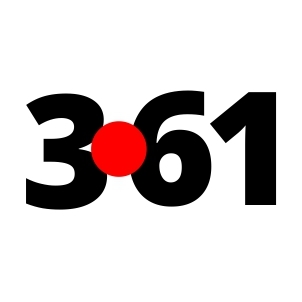 https://www.pointofsuccess.com/wp-content/uploads/emvcard.jpg 600 900 Jeff Crandall https://www.pointofsuccess.com/wp-content/uploads/POSlogoweb.png Jeff Crandall2015-12-03 10:55:312017-08-14 14:52:42Version 3.7 Released, EMV is Here! Beginning July 29 most users of Windows 7, Windows 8 and Windows 8.1 could begin upgrading to Windows 10 free of charge. By the end of July, only three days into the release, 14 million computers were already running the new operating system. Windows 10 is fully supported for use with Point of Success version 3 and above. If you decide to upgrade be sure to give your computers plenty of time to complete the upgrade so they will be ready for use when your restaurant opens. Keep in mind that the upgrade to Windows 10 will unregister Point of Success. Allow ample time to get your new unlock code after the upgrade. There is no charge for re-registering Point of Success for the Windows 10 upgrade. What Is a Data Backup and Why Do I Need It? A database backup is a copy of your point of sale system’s data files. Point of Success makes an automatic database backup every day with the most recent 50 backups stored on the local hard disk drive on the server computer. This is a great feature to have but it is not sufficient to fully protect your data. To have complete protection from loss of data, database backups also need to stored offsite. Offsite storage protects a backup from physical damage or loss. A simple matter like a fire in the restaurant or theft of the server computer would require complete re-creation of the ordering menu and and all the financial records in the point of sale system would be lost. Offsite backups are easy and inexpensive using removable media like a flash drive or using an online backup service. Now here’s why a backup is so important – In the event of a complete server failure it only takes a few minutes to install Point of Success software and restore a data backup onto a replacement computer. Problem solved! https://www.pointofsuccess.com/wp-content/uploads/databackup.jpg 675 900 Jeff Crandall https://www.pointofsuccess.com/wp-content/uploads/POSlogoweb.png Jeff Crandall2015-07-14 15:00:362018-04-25 09:46:40What Is a Data Backup and Why Do I Need It? 3.61 is a Good Number to Know: Point of Success Software Update! Version 3.61 is available now for Point of Success Premium and Point of Success Standard. You get plenty to love in this release – This is a maintenance release but some great new features have also been added! Delivery fee can be overridden on the order screen. Includes a security setting to control which users can reset the delivery fee. Kitchen Display – Total number of orders in queue is displayed. Enhanced Audit reports give more information on voided orders and removed order items to help keep your system secure from theft and misuse. Guests can earn and redeem loyalty points without processing credit cards with Vantiv Integrated Payments. Use your own identifier for each customer. Attach the loyalty number to a customer account in Point of Success Premium’s customer database, or use a loyalty card or even a telephone number to track loyalty points. The update to version 3.61 is free for users who own a version 3 license. Download the update by going to Office Manager > Help > Point of Success Updates. https://www.pointofsuccess.com/wp-content/uploads/361.jpg 302 302 Jeff Crandall https://www.pointofsuccess.com/wp-content/uploads/POSlogoweb.png Jeff Crandall2015-06-22 11:09:322018-04-25 09:46:403.61 is a Good Number to Know: Point of Success Software Update! In many restaurants the point of sale system is rarely used beyond its basic cash register functions. It’s true that restaurant POS software can help serve customers faster and improve operations, but a point of sale system can also help create more sales! Pick one or a few products to target with your upselling efforts. The upsell product focus can change from time to time, but keep the number of products small and your focus laser-sharp. 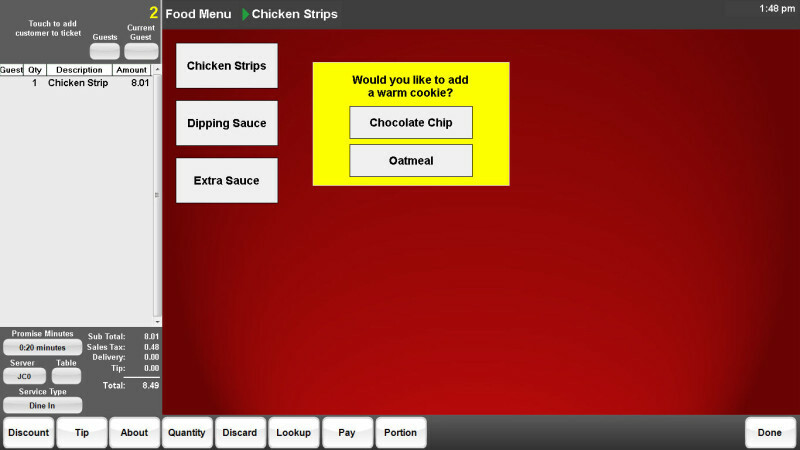 Choose areas of your menu where an upselling offer makes sense for your targeted products. Good examples are extra cheese on a pizza, dipping sauce for bread sticks, and a warm chocolate chip cookie with kids meals. Create menu shapes with text captions to catch your staff’s attention. Highlighting current upsell products can walk your staff through suggestive selling. Track and reward your staff’s upselling achievements! An exciting contest atmosphere with a weekly prize for the highest achiever keeps your upselling efforts front-and-center in the restaurant. Saving the portions of your menu where you created your upsell reminders to the Inactive Menu section in the menu designer lets you quickly bring back previous upsell products to your live menu. The Product Sales Achievement by Staff report is designed to help you track upselling for each server or customer service staff member.